Drive your subwoofers to their potential with the uncompromising power of the D-2000 amplifier. Whether you are a SPL competitor or just a power junkie , look no further. 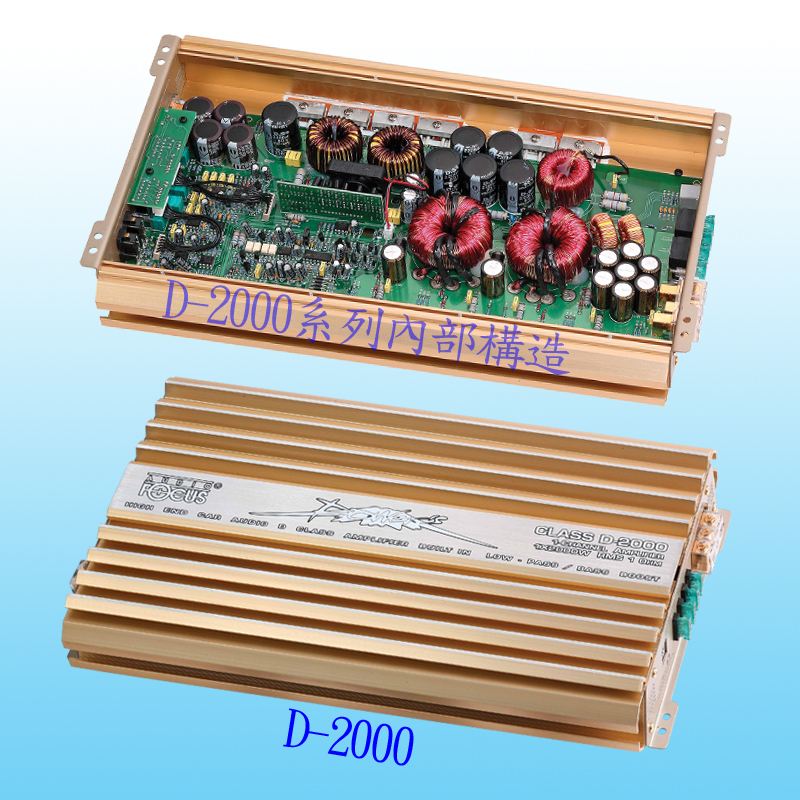 The D-2000 pushes 2000 watts of class D power. If 2000 watts of earthshaking power is not enough, it can be connected to another one via our Multi-Link line to deliver a massive combined power of 4000 watts into a 2 OHM load. This amplifier features an 18dB per octave crossover combined with an adjustable subsonic filter allowing you to optimize the subwoofer’s power and performance by eliminating frequencies outside the subwoofer’s normal operating range. Additionally , you can fine-tune the bass with up to 12dB of boost at 45 Hz and have the convenience of a dash mountable remote level control. With the flexibility of Multi-Link and efficiency of class D power, it’s no wonder the D-2000 is becoming one of the SPL favorites.